June 13, 2017 - The Swedish forest community and site Skogsforum.se has always attracted a significant number of members and visitors from Norway, western Finland and Denmark. Today, more and more international visitors also find’s their way to this, in depth forest technology source of inspiration. “We get more and more questions from people who asks for English translations of interesting content”, said Torbjörn Johnsen, one of Skogsforum’s owners. “All puzzles fell into place as we came across a good domain name and now we have the new site, forestry.com running and ready for foresters and loggers from all over the world,” says Torbjörn. The main parts of forestry.com are similar to the successful model of Skogsforum.se with members discussing and contributing with content. An active Forum part with many different themes and in-depth articles on mainly forest technology, chainsaws and everyday-related experiences. Questions and problems that foresters and loggers are wrestling with the World around. Additionally, unique content from the Swedish Skogsforum, translated into English, will be published and there will be possibilities for members to start their own groups or a blog. 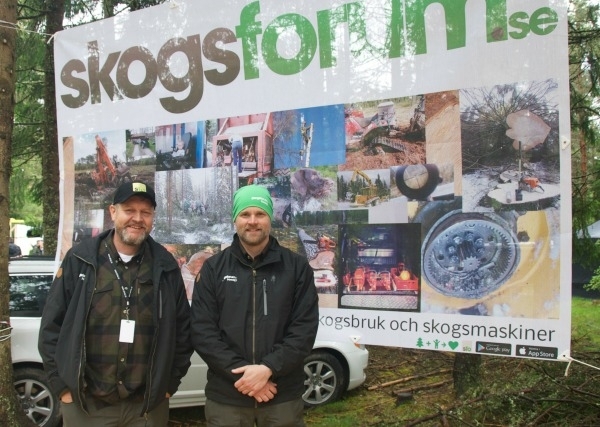 “Forestry.com provides a very good opportunity to profile yourself in the international forestry world, while acquiring new friends and expanding your professional network”, says Fredrik Reuter, the founder of Skogsforum.se. Membership on forestry.com is free of charge and as a registered member you have access to all content and can participate fully in network and community. “Unlike some other social media, we keep member’s personal integrity firm,” says Fredrik Reuter. We will not claim members more than an email address and we will not track their interests or behavior. It is also possible to join under alias as long as the communities terms and conditions are respected. According to Torbjörn Johnsen, the launch of forestry.com is made possible by many forest technology companies who supports an active and passionate forest network. The main language is English, but it’s possible to write in different languages and use, for example, Google Translate to translate content.